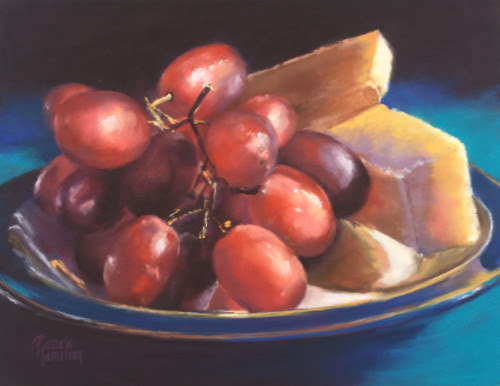 Much of Pamela Hamilton’s work—from pet portraits to still lifes—is done using pastels. Born and raised in the Chicago suburbs, Hamilton has always considered herself an artist. But, it wasn’t until recently that she was able to fully immerse herself in her artistic pursuits. 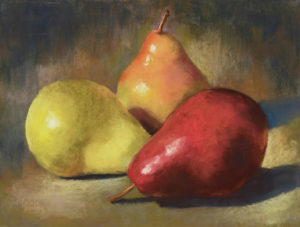 After enrolling in a series of oil pastel classes at a local fine arts center, Hamilton began to self-study soft pastels, which she favors over the former. Since 2011, Hamilton has participated in more than 70 exhibits, including numerous juried fine art fairs and solo shows, and has earned four “Best in Show” titles and numerous awards in other categories and is represented by several galleries.